Baja Brody Adventures at Writer's Block – Andres Fragoso, Jr.
Christina Willis is my all time favorite author for Children’s Books. She will be at the Writer’s Block Book Store for their Local Author Showcase. She will be signing her book Baja Brody and The Birthday Surprise. I’ll see you guys there. Don’t be late. It’s at 5 pm. 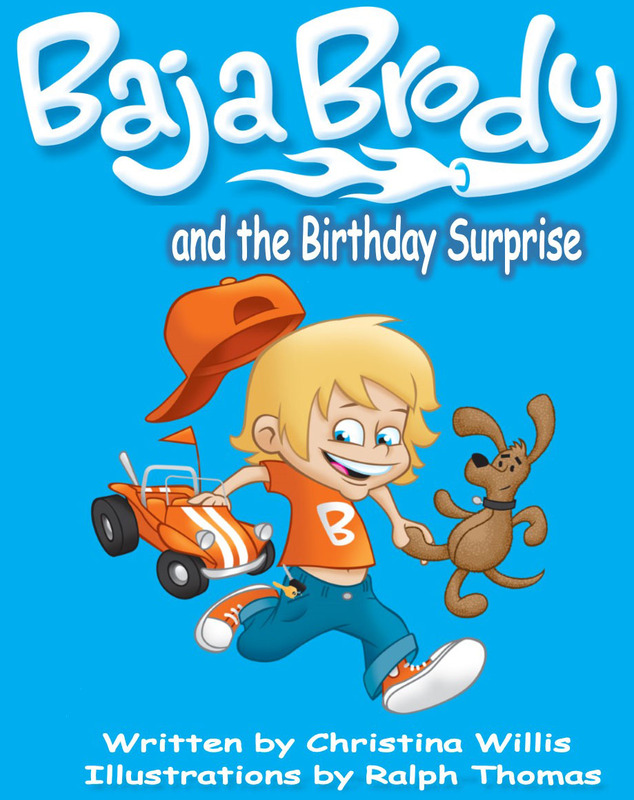 Baja Brody is a wildly fun little boy with a bigger than life imagination! In his delightfully, playful world everything comes to life. His exciting adventures always include a pocket full of keys and two of his very favorite toys. His orange Baja buggy racing car and of course his wonderfully adorable sidekick Doodles the golden floppy stuffed dog. He never leaves home without his soft cuddly buddy in hand.